These are top grade cigars. 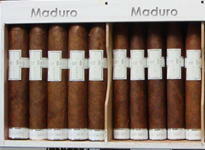 Note- this is a light colored Maduro wrapper, i.e. it is not a real dark wrapper.